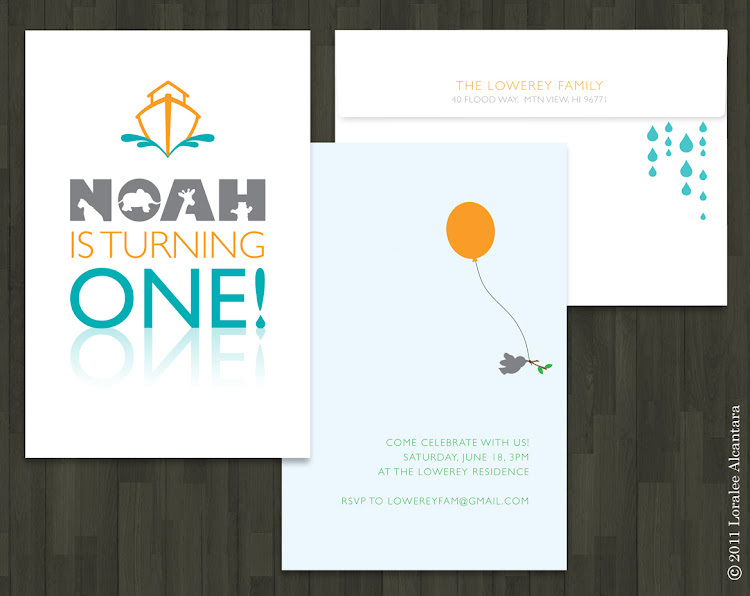 Noah's Ark themed birthdays need a modern facelift, so I was delighted to give it a simple and refreshing look for the 1st birthday party of my friend's son. An assortment of coordinating sticker labels were created to decorate what would otherwise be drab drinking cups. In the future, these same designs could also be used for creating cupcake toppers. For favors, custom labels featuring the birthday boy and a thank you message were wrapped around baby food jars filled with the promise of something sweet (rainbow colored candy). And as with any of my designs, additional coordinating items can be created for any other features to your party.